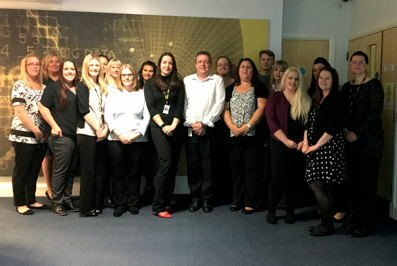 As part of the Customer Care Initiative award entry, Stanley Security explained its Customer Experience Team strategy for delivering customer service excellence. This strategy is based around bespoke management, whereby customers receive a dedicated Customer Management Executive to support their needs alongside their Account Manager; a robust CRM system to aid management of all aspects of the customer relationship; and a Customer Management Team which centralises the customer contact point to a single dedicated team. This approach helps differentiates Stanley Security’s customer experience and has proven to be highly regarded by customers, which is reflected in a consistent fall in customer attrition over the last three years consecutively. Continuous improvement is a key factor in the success of Stanley Security’s customer service strategy. Stanley Security staff receive ongoing training to enhance customer experience, including weekly call coaching at the National Call Centre. Furthermore, the company is establishing a Customer Journey which ‘hugs’ the customer from initial contract through to re-signing or termination of contract. Going forward this process will provide a Net Promoter Score (NPS) – a management tool that can be used to gauge the loyalty of customer relationships. Customers are then engaged in a discussion about the feedback they provided through the NPS survey process, with in-house results used in continuous improvement workshops to feed back to the business.